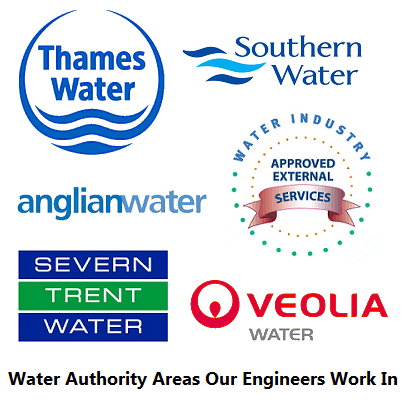 Our Approved technicians are WIAPS approved Water Hygiene Card which are the industry standard and recognized throughout all Water Companies. We Offer a Leak Detection Services that is affordable and cost effective with no call out charges plus no hidden extra cost and a Guarantee fixed price that will help everyone with their problem. We have many years experience in locating leaks on all internal and external pipe work for all Domestic & Commercial Leak Detection. Domestic & Commercial Surveys Water Supply Pipes We Consider Ourselves The Leaders in Domestic & Commercial Leak Detection at the end of the survey, we will produce a report of the survey, and our recommendations for the problem rectification. We offer a service to repair the water service or water main. Once the works has been carried out the excavation is back-filled and reinstated. We will consider any job no matter how large or small it could be a simple repair or maybe you may require a full installation if so give us a call today.